This article will explain the Convolutional Neural Network (CNN) with an illustration of image classification. It provides a simple implementation of the CNN algorithm using the framework PyTorch on Python. There are many free courses that can be found on the internet. Personally, I suggest the course of Andrej Karpathy (@karpathy) at Stanford. You will learn a lot, it is a step by step course. In addition, it provides many practical strategies to implement the CNN architecture. Before going deep in the convolutional neural network, it is worth understanding their concept. CNN falls in the category of the supervised algorithms, i,e, the learn on training data, e,g, having a set of images at the input and theirs associated labels at the output. It consists of feeding the convolutional neural network with the images of the training set, x, and their associated labels (targets), y, in order to find the best parameters of the network’s function, f, to obtain y=f(x). Once the parameters of the network’s function are obtained (namely weight and bias), we test the network with an unseen image in order to predict their labels. The CNN architecture we used in this article is proposed in this paper. The network is implemented as a class called CNN. It contains two main methods. The first method (__init__) defines the components layer of the network. In the second method (forward) we wire the network and put every component in the desired order (as shown in the picture). The python code bellow is straightforward. The network is defined using the neural network module of Torch. Notice that we already choose hyper-parameters of the network, such as Padding (P), Stride (S) and Kernel_size (F). Also the number of filters at each layer, …. The input image has four dimensions, (batch_size, num_channel, height, width). The algorithm outputs an array with ten values, corresponding to the score (or amount of energy) of the predicted labels of the image. Therefore, the maximum score is the predicted label (or class) to retain for the tested image. Conv layer: This is the main layer of the algorithm. It consists of extracting the key features at the input image (sharp edge, smoothness, rounded shape, …). This is done through a set of 2-dimensional convolutions of the image at the input with one or many filters. Note that the convolution is performed simultaneously for each channel of the input image, e.g. a color image has C=3 channels, RGB: Red, Green, and Blue. The filters are set to have odd size for practical purpose CxFxF, e.g, 3x3x3, 3x5x5. The output of this operation is one scalar value, an artificial neuron. An illustrative animation for the convolution layer is given in http://cs231n.github.io/convolutional-networks/#conv. Furthermore, the Conv layer is applied repeatedly to extract fine features that characterize the input image. The outputs of the Conv layer are called features map (or activation map), where each spatial position (or pixel) represents an artificial neuron. 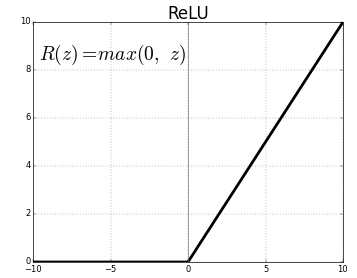 ReLU (Rectifier Linear Units): It performs hard thresholding for negative values to zero, and leave positive values untouched, i,e, ReLU(x)=max(0, x). This layer preserves the dynamic range of the feature map. How about the Python implementation of the CNN? The code is quite simple to understand, hopefully, since it mentions all the layers we discussed earlier in an intuitive way. Note that all the number mentioned at the input of the methods are hyperparameters. They define the CNN architecture: kernel_size, stride, padding, input/output of each Conv layer. The code below defines a class called CNN where we define the CNN architecture in order. During the forward pass, we feed the network by images of the training set and compute the features map till the end of the network, then we compute the loss function to measure how far / close the solution (predicted label) is from the ground truth label. The backward pass performs the computation of the loss function’s gradient and updates the filters’ parameters. Plotting these plots help monitor understanding the convergence of the algorithm. 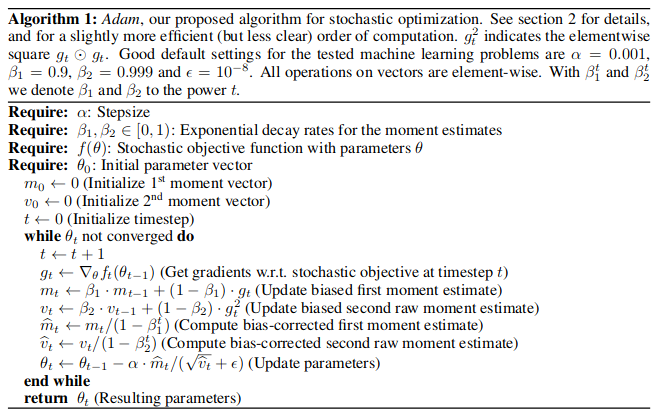 The loss plot is decreasing during the training which a what we want since the goal of the optimization algorithm (Adam) is to minimize the loss function. On the right, the plot shows the evolution of the classification accuracy during the training. The more we train the algorithm, the better the classification accuracy. Notice the fluctuation of the accuracy between ~90 and 100 %. Better tuning of hyper-parameters will provide a precise classification. This article attempts to explain briefly the convolutional neural network without going deep into mathematical development. 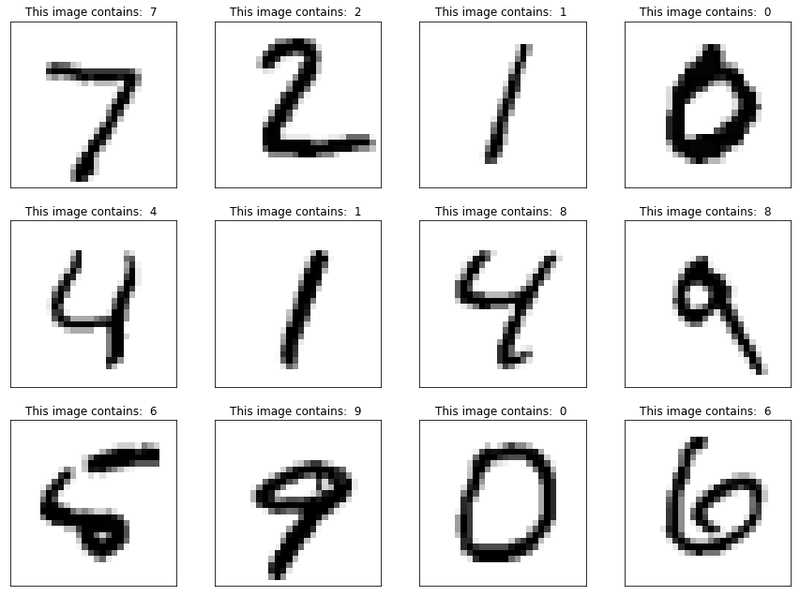 An illustration is provided at each step with a visual explanation, as well as an application of image classification of MNIST dataset. Finally, a python implementation using PyTorch library is presented in order to provide a concrete example of application. Hopefully, you will find it interesting and easy to read. Perspectives: add some links and sources for further reading about the topic. Note: This article is not fully completed and might encounter an update to enrich the content. Any comment, suggestion or critique are welcome. Please do comment or reach to me in order to correct and update the article.